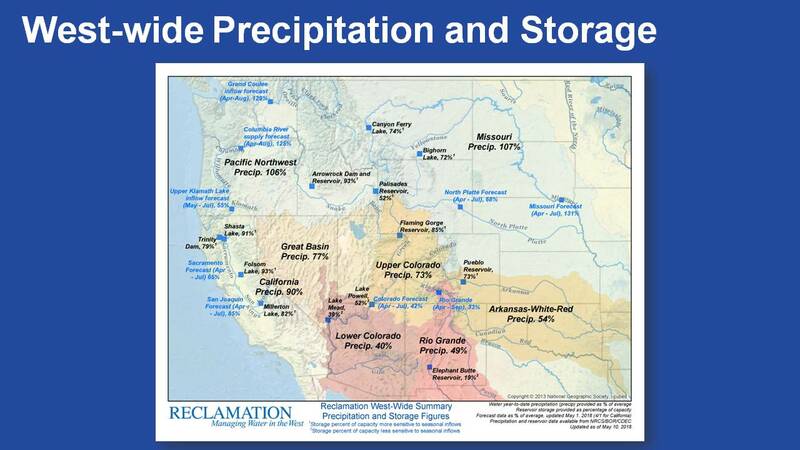 The Bureau of Reclamation is the largest wholesale provider of water in the country and the second largest producer of hydroelectric power in the western United States. Established in 1902, the Bureau’s water projects constructed in the 17 western states led to homesteading and economic development throughout the West. 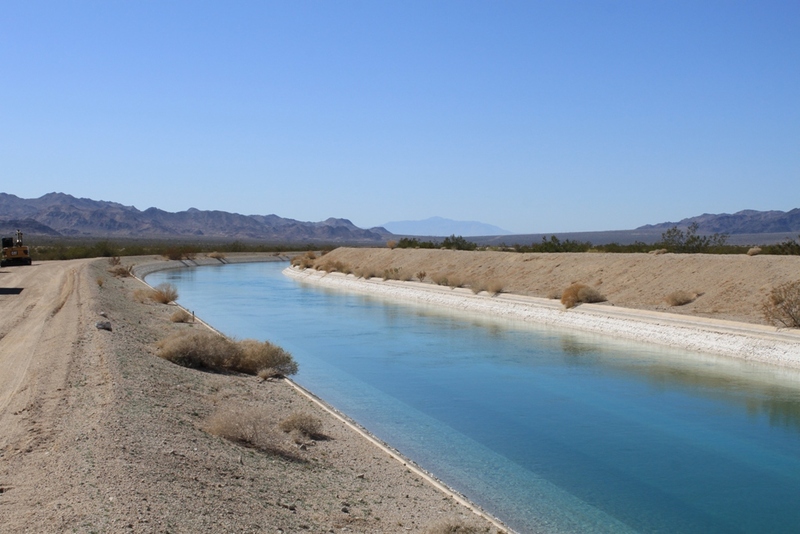 With the Bureau of Reclamation managing the Central Valley Project and the Colorado River (as well as other projects), the Bureau is undoubtedly a major player in California water issues. 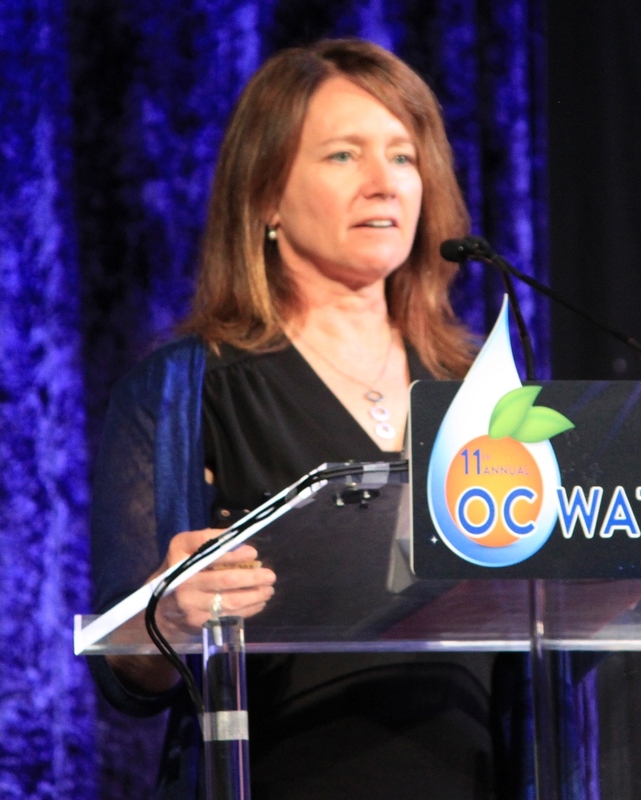 At the OC Water Summit held last Friday, the luncheon keynote speaker was the newest Commissioner of the Bureau of Reclamation, Brenda Burman, who was confirmed by the Senate in November of 2017. Ms. Burman is no stranger to western water issues; a California native, her career spans 25 years including on the federal level serving as legislative counsel in Washington DC, and on the state level in positions with the Metropolitan Water District and the Salt River Project in Arizona. She is licensed to practice law in Arizona, Colorado and Wyoming. In her speech, she pushed for building new infrastructure to meet the challenges of the 21st century, emphasized the need to reach agreement on a drought contingency plan for the Colorado River, and argued for the need to think big in confronting the challenges that lay ahead. In her own words, here’s what she had to say. “I’m going to talk more generally about California and the west and infrastructure. … I remember my very first week in Washington DC as Senator Kyl’s water and energy lawyer, and for my very first meeting, he said, ‘Go down to Senator Feinstein’s office.’ And in Senator Feinstein’s office, they were meeting on the Quantification Settlement Agreement, and that’s where I first met Metropolitan Water District, the Imperial Irrigation District, many NGOs, Congresswoman Mary Bono’s staff – it was a large room with very angry people in it. But if that can get done, there are so many other things that we can get done in California and in the west. “I ran across this headline. This is from The Onion. The Onion doesn’t usually talk about water, so I was excited about that at first. But the second part was, it’s so sad this is funny. Hoover Dam is this amazing immense structure; it was dedicated by Franklin Roosevelt in 1935 in the middle of the Great Depression. 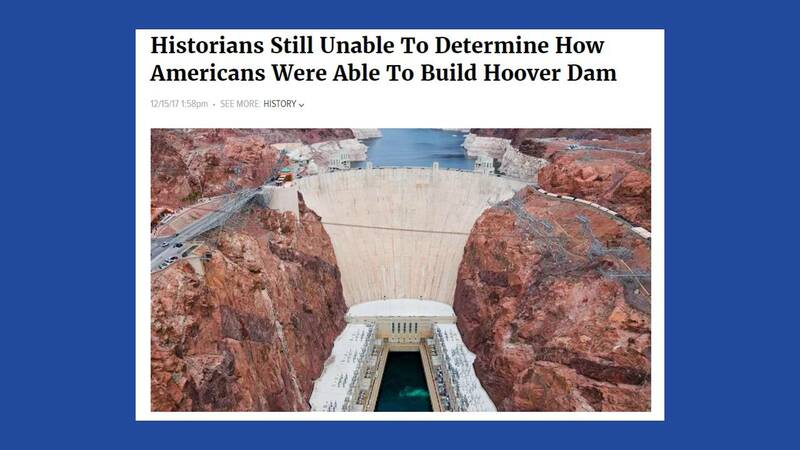 They didn’t have computers, they did all of their computations by hand, and yet workers in the desert, engineers, people with amazing foresight to go to Washington DC, as well as California, Arizona, and other places to ask the government to step in and do this. And then the people on the ground that were able to build this. How amazing, and how we proud we are of that, still to this day. That infrastructure is working every single day to provide water to Southern California. But when we look at our 21st century, I think we have a lot less faith in that we can do the same thing. Can we build those colossal infrastructure? Can we build the infrastructure we need for the 21st century? “Reclamation is an integral part of the West. In 1902, Teddy Roosevelt with Congress created Reclamation. We’re very proud that we are part of the major history of California and of the 17 western states. We’re proud of our recreational opportunities; we have over 289 recreation sites across the west. We contribute, last study says, about $48 billion each year into the US economy. We support more than 400,000 jobs. “This is a picture of the hydrology this year, and I show this because this is the backdrop that Reclamation works in, and on a smaller scale, that’s the backdrop that you all work in. This year’s hydrology was interesting, because in the north, we had average to above average supplies, even flooding in Montana and other areas. As you came south, it got drier and drier; Arizona and New Mexico are at dismal records for the amount of precipitation they had this year. The Colorado River, important to this area, was below 60%. In California, which was very dry through February, we were lucky with a few storms to bring the hydrology back. “What I find interesting about this picture is if you’d taken this picture one year ago, it was almost exact opposite; it was devastating drought in Montana and the Dakotas, Arizona was wet, the Colorado River was above average, and California had a record year for how much water supply was brought into the system. … We need infrastructure. … There’s a tremendous amount at stake. Floods and droughts can destroy lives when we are not prepared and when we’ve not invested on our future. “But what did that do for us? What it did was it created this banner year. The State Water Project, where you received some of your water supplies, had a very difficult year infrastructure wise. “What I find interesting about it was that we had such a huge water year on the system, then we fast forward to 2018, and it’s a dry winter through February, and Reclamation had to announce what are our allocations to our contractors was. We were able to say we could serve our senior water users, but on our junior water users, we either said ‘we’re sorry, we don’t have an allocation for you, it’s dry,’ or we said, ‘maybe you can get 20%.’ And that was at the end of February. What kind of system are we working in if the largest, wettest year on record in California doesn’t help bring water supplies in the next year and that we have to live year to year on what the weather patterns do? “I think the most important thing to realize about that is we need infrastructure. We have so many stressors on our system right now and our storage, our infrastructure of the 20th century, it wasn’t made to get us this far. We need to be investing in our infrastructure. The stressors we face: increasing population, listed species, aging infrastructure – there’s a tremendous amount at stake. Floods and droughts can destroy lives when we are not prepared and when we’ve not invested on our future. “How do we meet our 21st century challenges? So many of you in this room are stepping up to do that. But we meet our challenges on all fronts. We meet them on environmental, we meet them on collaboration and on relationships, but the overwhelming answer is that we strategically build new watershed infrastructure. We capture water in times of plenty and we store it for when people and fish need it later. “Just one example. The federal government has been looking at raising Shasta Dam since the 1980s. Back then, the proposal was to raise it by 200 feet; it was a colossal vision. But there was also intense, extreme opposition to doing that and the project didn’t move forward. But the intention of the California delegation and with a lot of work in Northern California, Reclamation was asked to go back and study that again starting in the early 2000s. “We put out an EIS, and it’s a much scaled back version. It’s so different than the idea of what was proposed in the 1980s. It’s been cutback to less than a tenth of its original proposal; it’s a strategic raise at 18.5 feet. It would provide over 600,000 acre-feet of new water supplies for fish and for people, and enlarging that reservoir will improve the water supply reliability for agriculture, municipal, industrial, and environmental uses. 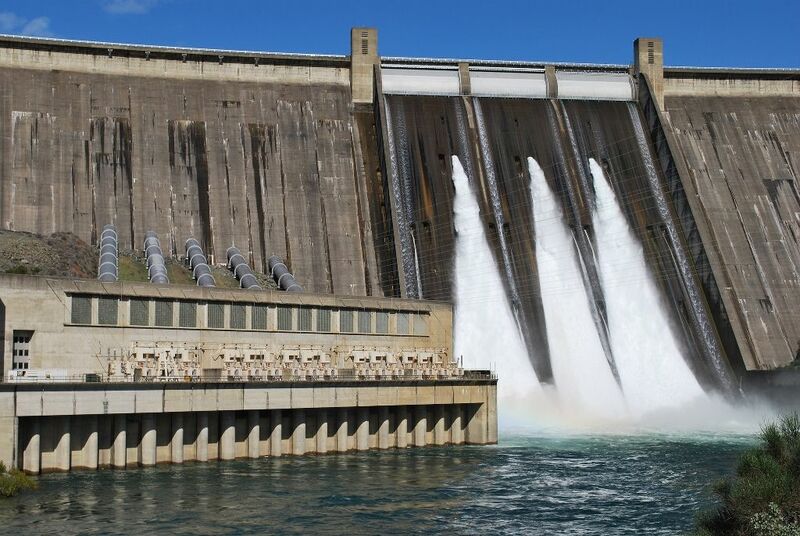 It will reduce flood damage, it will improve water temperatures and water quality in the Sacramento River and below the dam, and for anadromous fish survival. It is a smart project. Dollar for acre-foot, it is one of the smartest projects out there. And it could provide so much more reliability on the system. “In the recent budget from Congress, FY 2018 budget is a very good start. It included $20 million in WIIN funding and Congressional authorization of pre-construction activities at Shasta. So right now, it’s Reclamation and the federal government moving forward to get ready and to see if Shasta is possible. We will be working with water users across the state and in the Central Valley Project to see if there is a funding partner, is there someone willing to step up for a smart, well-planned project that could bring much relief to the state and to water in California. “This isn’t the only storage project. 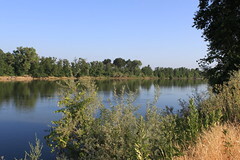 Reclamation, together with the state of California and many of the local partners, have been studying other storage opportunities off the Sacramento River with Sites Reservoir, on the San Joaquin River with the Temperance Flat project, the Los Vaqueros project with Contra Costa … and there are ideas out there to raise San Luis Reservoir. There are so many opportunities on the horizon, and we are at this juncture, at this window, where we are going to have to decide, do we step up and do we build the type of infrastructure that our forebearers built for us? They looked ahead 20, 40, 50 years, and said, what do we think the next Californians are going to need? I think that’s where we are now; that’s the crossroads that we face. “So another example. Southern California gets it supplies from the north through the State Water Project; Reclamation runs the Central Valley Project, which delivers water to farms and families in Northern and Central California and the Bay Area and some areas along the coast. 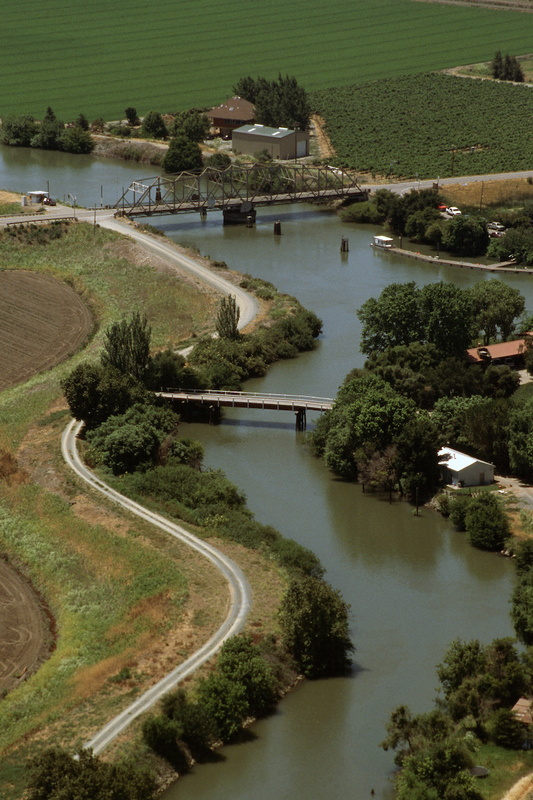 Contractors from both sides have recognized the major difficulties in moving water through the Delta, and the need for more flexible and reliable conveyance of Sacramento and San Joaquin River supplies south of the Delta. So I want to commend Southern California, the leadership of Metropolitan and the leadership of MWDOC, for moving forward with new infrastructure, the California Water Fix, to increase flexibility by moving water under the Delta. 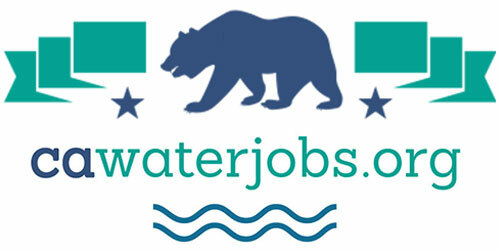 “From the Central Valley contractors side, we’ve been a partner in all the planning for Cal Water Fix, and we continue to have discussions with the state and with your representatives to find ways to leave the door open for Reclamation and for CVP contractors to join the effort; a lot of those discussions are even happening this week. But I commend the foresight and I commend the leadership for moving forward with that. “There are other ways to address our water challenges. The regulatory constraints that we face in Northern California that have severely limited the water supplies that we’ve been able to take for water users, those significantly reduced supplies for delivery of Sacramento and San Joaquin River water. It has really been since the 2008-2009 biological opinions. When you look back, because it takes so long to write those types of opinions, those were based on older science. We have learned a lot since then. Reclamation, the State, our partners have invested significantly in the last 10-12 years to learn more about the Delta. We know so much more than we knew in 2006 and 2008, and that’s why the Department of the Interior is taking a hard look at how do we maximize water supplies in the Central Valley Project and the State Water Project through the reinitiation of consultation with the Fish and Wildlife Service and the National Marine Fisheries Service, NMFS. This is part of a larger analysis of how can we increase operational flexibility while operating the Central Valley Project in a coordinated manner with the State Water Project in maximizing water deliveries, optimizing power generation, and being consistent with state and federal laws. “We think that we have such better real-time information now then we used to have. We don’t need to make guesses about what times of year there should be restrictions. We can tell in real-time when fish are moving through the system, and we think it’s important to use that new knowledge and use that continuing information to find more flexibility on the system. “Another water supply important to Southern California and Orange County is the Colorado River. The Colorado River basin is currently in a 19 years and counting drought. It is the worst 19 years of hydrology that we know about in 1200 years. That paleo record does show much longer decadal droughts then what we’ve seen so far, but as far as individual years, as far as we can tell, this is the driest years we’ve had. Our two largest reservoirs on the Colorado River, Lake Powell and Lake Mead, they have a combined storage capacity of 50 million acre-feet and that’s four times what is believed the average annual flow of the Colorado River. … But today we’re at 46% of capacity. It’s only through voluntary water conservation that’s been taken by Reclamation, by California, by the other six basin states, by water districts, and by Mexico, that has stabilized the decline of the lake and has kept us out of shortage. “Through those water activities, we added 20 feet to the reservoir, and that’s how we’ve helped ourselves keep out of shortage to date, but the best information shows high likelihood of significant water reductions in the Colorado River basin in the years ahead. Forecast models predict a 52% of chance of shortage by 2020, and after that, they predict more than a 60% chance. “What’s really interesting about the Colorado River is we started with a full system in 1999, basically full at 97%. We had four years of bad hydrology and the system dropped by half. Since then, we’ve been bouncing along with maybe one wet year and three dry years but despite all of our experience in running the reservoirs and despite what everyone’s tried to do so far, we know we can’t control the system if we continue to have that kind of hydrology. “So we are working with the seven basin states on drought contingency plans. 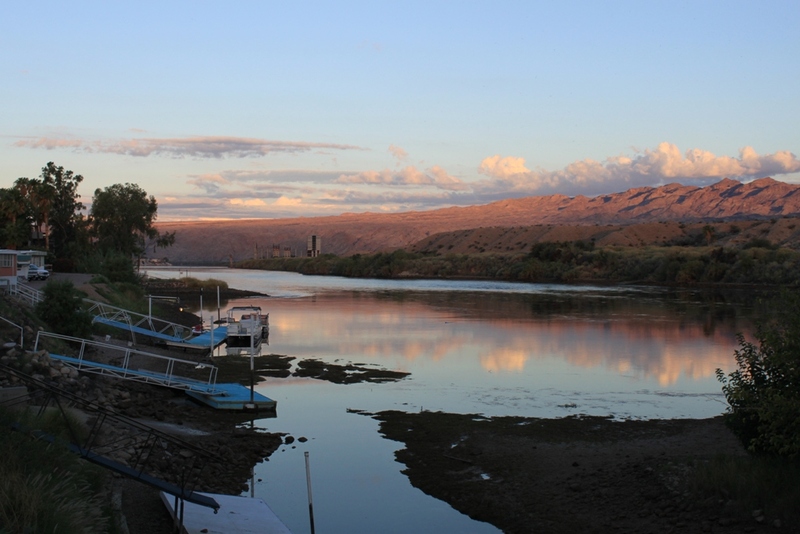 California has been a leader on the Colorado River on drought planning discussions. In fact, when I took office in December, it’s been almost six months, the California parties told me that they were 95% of the way there on coming to internal agreement on a drought contingency plan. It’s six months later and we’re still at 95%. So, I am here to say that now is the time for action. And now is the time to complete negotiations between the California parties on the drought contingency plan for the Colorado River. Reclamation and I are committed to working with the lower basin states, working with the parties within California, to complete a drought contingency plan by the end of this year, and I hope you all will help us with that. “News from Washington DC. I know in today’s world, we all tend to get information at the same time, but I thought it couldn’t hurt to share a little bit of what we’re working on and what we see from DC. 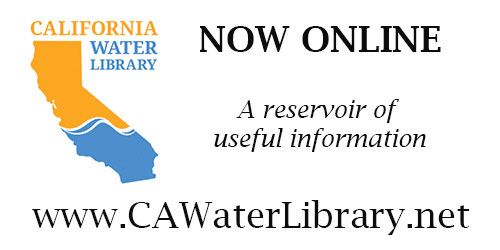 Reclamation posted its Funding Opportunity Announcement, or FOAs, two days ago for both Title 16 Water Reclamation and Reuse Program and for WIIN Act desalination construction projects. The deadline this year is July 27; as always, our offices stand ready to work with those who would like to apply, and the details are on our webpage. “For the Title 16 program, this is the second year the WIIN Act funds are available, and it provides an opportunity for new groups of projects to be eligible for financial assistance. In the past, Title 16 projects had to be Congressionally authorized, and Orange County was very good at that, but now if you have a feasibility study that’s been sent to Congress and approved by Reclamation, you are eligible to apply. Last year, three projects totaling $10 million was selected under the WIIN process, including the Orange County Sanitation District and others. “The WIIN process, it’s an interesting process. If Congress appropriates money in FY 18, that’s not immediately available. What happens with that, on the WIIN side of it, is they come to Reclamation, Reclamation makes a recommendation to Congress, and then the next appropriations bill, those programs and those projects get listed out, so it really means the process takes about a year. But we do have those FOAs with the funding that is available right now. “For the FY 19 appropriations bills, those are working their way through Congress. In fact, the House is expected to bring the Energy and Water Appropriations Bill to the floor next week. We started off with the President’s budget of just $3 million for research in the Title 16 program. The House has increased that amount to $62 million and the Senate has increased it to $54.1 million, so somewhere in there lies the difference. We will stay tuned to see how Congress likes to fund that project. “We have a lot of other projects, big and small that we’ve been putting into action. 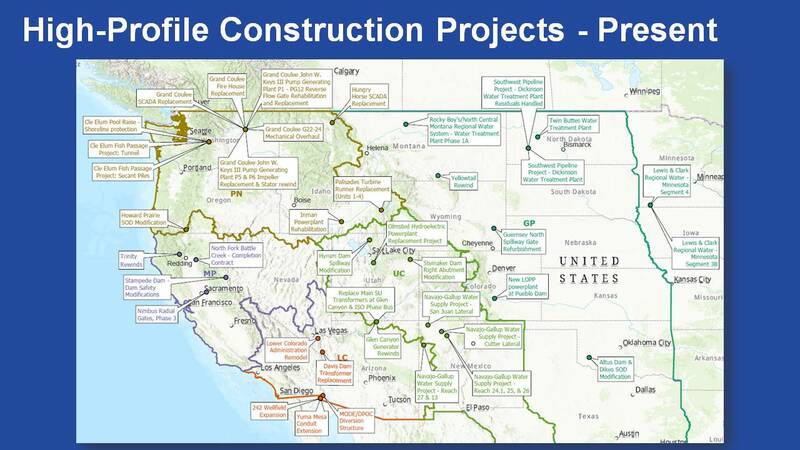 You saw the picture of the Western states; it listed some of our major projects that are going on right now, and it listed some of those that we’re about to do in the future. 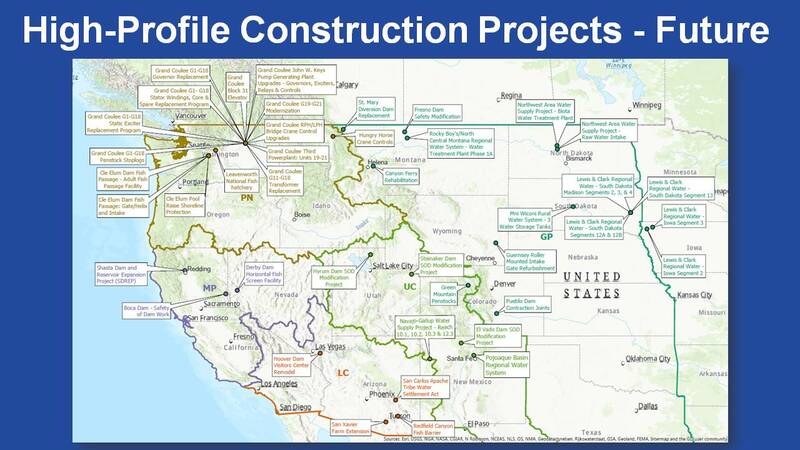 All over the west, we are working on infrastructure projects, and those include overhauling our power plants at Grand Coulee and other places, modernizing facilities for recreation such as boat ramps, pathways, and trails; replacing generators at Glen Canyon; installing more modern infrastructure in our other Colorado River storage project and generation facilities; and I could go on for a very long time with these lists and others. These are projects that matter, and improvements that are going to make a difference and that will help us be more reliable in the 21st century. “But there’s room to think bigger here. California and Southern California looking at Cal Water Fix, looking at all the reuse of water that you’ve been able to put forward, looking at the Colorado River and how do we face the Colorado River and make sure it provides reliable supplies for all of us. There are ways to think bigger, to invest in the kind of infrastructure that has become so rare that it’s often a joke right now. We’re facing big challenges ahead of us and big solutions are required to meet those challenges head on, so I want to thank you for your leadership, I want to thank you for your partnership, and I want to thank you for your dedication to providing reliable water supplies in the modern world. QUESTION: Within your career, looking in the past as well as looking into the future, what makes a project one of your favorites? You listed quite a number of them. BRENDA BURMAN: “What makes a project my favorite? I think a project that can bring together groups that have thorny intractable difficult water solutions, and if anywhere is an example of that, it’s northern California. In Northern California, there are so many different competing interests, conflicting views of how the system works, how the system should work, and to me, if we could bring some storage to that, bring some more water to that solution. There are so many other ways that we’re trying to face the issues in Northern California, whether it’s Cal Water Fix, but if you can provide more for the species, if you can find more water for the species, if you can step up and find more reliable supplies so we can make it from one giant wet year forward more than one year in the future, that’s one of the things that makes it a favorite for me. “I would also say the Colorado River. Every day there’s an issue on the Colorado River about can it work, there’s tension between water users, there’s tension in states, there’s tension between states, there’s tensions between the upper basin and the lower basin, between ag and urban, but it’s this great example of victories, because those water users have come together for 20 years and despite all of those issues, we can make continual progress, so we have so far, and I certainly hope we continue to on my watch. QUESTION: I want to check a fact. I thought I heard you say that you were going to trigger a reconsultation on the 2008-2009 biological opinions to add flexibility into how water systems can be operated in California, specifically the Bay Delta. Is that correct and if so, what would the schedule prognosis be for reopening those consultations? 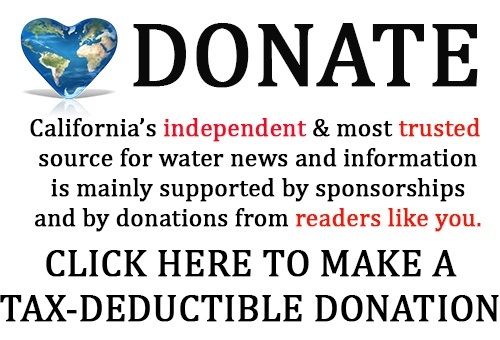 BRENDA BURMAN: “We put out a Notice of Intent a few months ago, and we’ve been having continual stakeholder meetings across Northern California which have been open and in that Notice of Intent, it says that we are looking to maximize water supplies in the system, and so we are working with FWS, with NMFS, with our partners, and that is our goal and that’s what we’ve started and that’s we will finish.